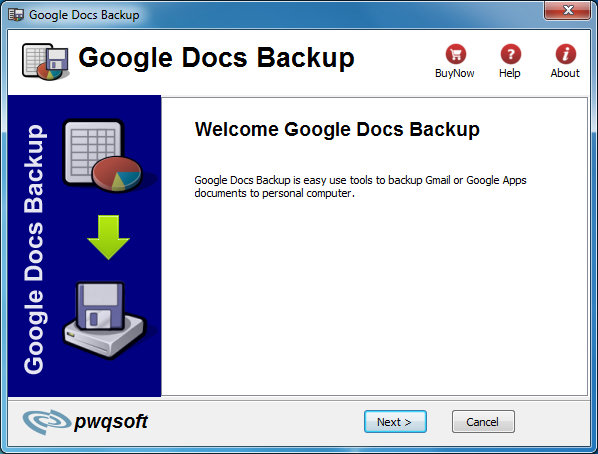 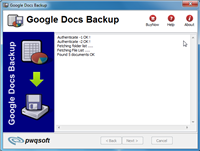 Google Docs Backup is backup solution for Google Docs, we know that Google Docs web service can easily access and manage their documents online. However, user still would like to be able to back up and archive their files on their own systems. Unfortunately that isn’t so easy and requires you to download backups of each document individually. The Google Docs Backup is a utility to help streamline this process. With 1-click, user can download and create a backup of all Google Docs word document and spreadsheet to local folder on hard drive. download and back up all documents to hard drive.